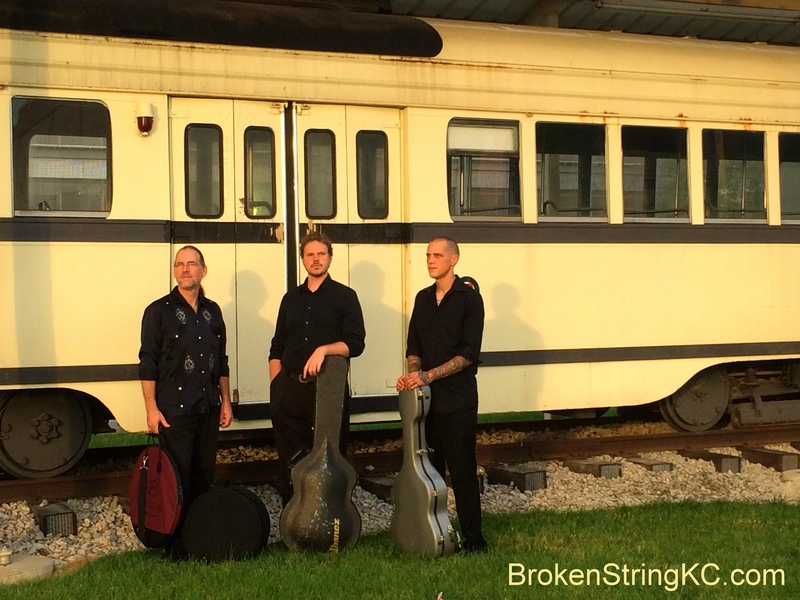 Broken String creates guitar and percussion driven soundscapes filled with a delightfully fresh spirit and soul. 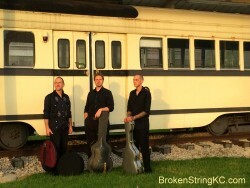 Artfully integrating traditional North American Jazz, authentic Spanish Flamenco, the Pat Metheny songbook, Brazilian music, and much more, the trio provides audiences with captivating performances that thrill the musical senses. This ethnic celebration of cross cultures will took place in Oppenstein Park on August 27th, from 11:30 to 1:30. Michael McClintock – Guitar graduated from the nationally acclaimed Conservatory of Music and Dance at the University of Missouri-Kansas City, with a Bachelor of Music in Guitar Performance in 2006. While at the Conservatory, he studied under classical guitar master Douglas Niedt. Following graduation, Michael continued his studies with four-time Grammy Nominee Rod Fleeman, and, has established himself squarely in the center of the Kansas City music scene. Jarrod Stephenson – Guitar began playing music at a very young age. In 2002, his thirst for something more inspired him to attend the Conservatory of Music and Dance at the University of Missouri-Kansas City, where he was honored with the Greensburg Guitar Scholarship for his studies. In addition to performing solo Classical repertoire under the study of the prestigious Douglas Niedt, Jarrod had an active interest in Jazz which led him to study with the renowned jazz guitarist Rod Fleeman. In 2006, Jarrod received his Bachelor’s of Music Degree in Guitar Performance, at which point he began exploring the art form of Flamenco. John Currey – Percussion is the Director of Marimba Sol de Chiapas Mexican Marimba Ensemble, was an original Union Station Cast Member of Sticks of Thunder, holds a bachelor’s degree in percussion performance from Stephen F. Austin State University, and a master’s degree in percussion performance from the Conservatory of Music at the University of Missouri-Kansas City, where he teaches for the Conservatory’s Community Music & Dance Academy. John is Percussionist for the Kansas City Brassworks, has played timpani for the Kansas City Ballet Orchestra, and, extra timpani and percussion with the Kansas City Symphony. Numerous performance credits include appearances with the Czech National Orchestra, newEar contemporary chamber ensemble, nationally-touring productions of Broadway’s Evita and Ragtime, the Chico Symphony, the Kansas City Chamber Orchestra, the American Ballet Theatre, and the Caribbean Steel pan band. He has played percussion at the Sunflower Music Festival, and served two years as Principal Timpanist for the Western Slope Music Festival in Crested Butte, Colorado, where he toured with the Kansas City Brass. A member of the Tri-Percussion group, the Flamenco dance and music ensemble De los Barrios, Broken String, and an arranger for the former Marimba Yajalón, John has toured throughout the United States, Mexico, and Western Europe.